Inkl. Victoria falls, Chobe nasjonal park, Johannesburg, Tshukudu safari, Cape Town og Mauritius. On arrival at Livingstone Airport a Thompsons Africa Representative will meet and transfer you to your hotel. This afternoon enjoy a romantic sundowner cruise on the Zambezi River on board the African Queen. 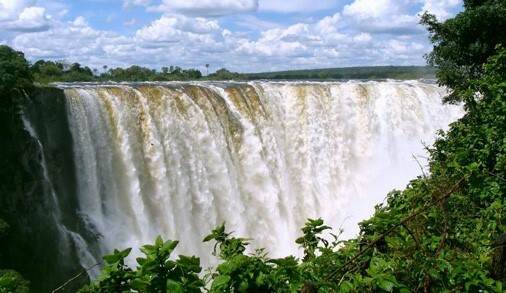 Depart on a morning tour to Victoria Falls, one of the 7 natural wonders of the world. See 650 million litres of water from the Zambezi River crash into the chasm below, from some of the many vantage points on numerous paths. This morning, guests will be transferred to the border where their Botswana Guide will meet them. From here they proceed straight to the River where they will spend the morning game viewing along the Chobe River. Tea, coffee & biscuits are provided. The morning cruise ends around 12:30 hours and clients are then taken to the Chobe Safari Lodge on the riverbank for lunch. After lunch clients board safari vehicles for an afternoon game drive in the Chobe National Park where they will have the opportunity to enjoy an abundance of wildlife. Spend your last morning relaxing at your hotel, before you are transferred to view the Victoria Falls on the Zimbabwe side. 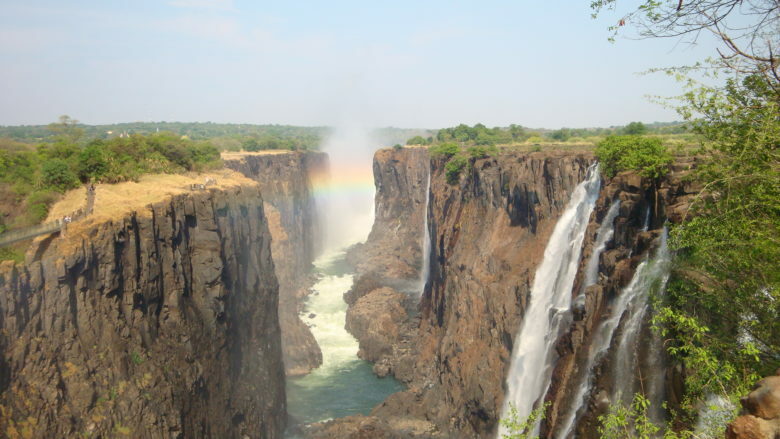 Thereafter, transfer to Victoria Falls Airport for your onward journey. On arrival at OR Tambo International Airport (Johannesburg), you will be met by a Thompsons Representative and assisted to your transfer. The remainder of today will be at leisure, exploring the wonderful shopping experiences that this city has to offer. Today, explore South African history and share some of the journey, pain and struggle of the heroes; witness the places, experience the diverse museums where these momentous, tumultuous years have been so well documented. Our day begins at the Hector Pieterson Museum, where we start to unravel the cause of the devastating riots, before travelling past Mandela House, where you have the option of visiting this small museum (own account). Our next significant stop is the fascinating Regina Mundi Church, site of so many of the underground meetings of the then banned political parties. We’ve chosen to lunch in Soweto at a local restaurant (own account), before visiting the legendary Apartheid Museum. This is an interactive voyage of discovery, one which takes you from the dark days of ‘whites only’ privilege, through to Nelson Mandela’s historic release. After breakfast you will be transferred to OR Tambo International Airport (Johannesburg) for your flight to Hoedspruit (not included). On arrival at Hoedpsruit Airport, transfer to Tshukudu Game Lodge. This private wildlife reserve, where exclusivity is assured, covers 5000 ha of unspoilt bushveld close to Hoedspruit in the Limpopo Province. A labour of love for the Sussens family, it has developed into a true haven for wildlife and a unique tourist destination over the past 30 years. 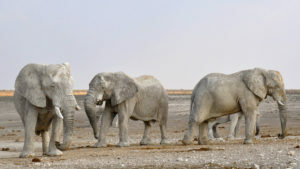 Renowned for the re-introduction of orphaned animals to the wild, it offers guests the rare opportunity of interacting with animals on a special morning walk. 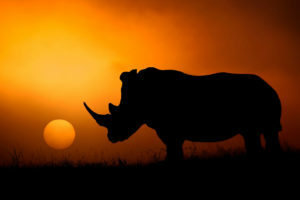 Guests enjoy day and night drives on open four-wheel-drive vehicles, where they can spot a large variety of game including the Big 5 in the wild and over 270 species of bird-life. Transfer to Hoedspruit Airport this morning for your departure to Port Elizabeth (flight not included). On arrival in the friendly city of Port Elizabeth, transfer to your hotel . The history of Port Elizabeth is bound up with that of the arrival of the 1820 British Settlers, and the remnants of that pivotal time still lingers. The city still has some fine examples exquisite Victorian and Edwardian architecture. We set off from the airport between 12h00 and 13h00 (and earlier if everyone has already arrived), travelling through the indigenous Tsitsikamma Forest towards the romantic seaside resort of Knysna, in the heart of the famous Garden Route, with scenic stops along the way. Dinner and overnight in Knysna. Pass en route to Oudtshoorn, the ‘feather capital of the world’, so named, because it’s the centre of South Africa’s ostrich industry. After lunch, we learn more about these hardy, enigmatic creatures during a tour of an ostrich farm. We then head underground for a fascinating tour of the Cango Caves, one of South Africa’s most incredible natural wonders. Overnight in Oudtshoorn. A day of magnificent vistas. Enjoy the everchanging passing canvas as we travel to Cape Town. During the whale season, we will travel via the seaside village of Hermanus in the hopes of catching a glimpse of southern right whales, which frolic offshore (July to November only). Out of season we will return to Cape Town along ‘Route 62’. On arrival in Cape Town, you will be dropped off at your hotel. There are various day tours options available in Cape Town (own account). 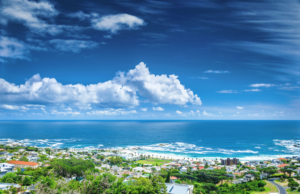 On the full day Cape Peninsula Tour, you drive along the Atlantic seaboard via Hout Bay, to the Cape of Good Hope Nature Reserve and its scenic viewing point. Stop at Boulders Beach to see the African penguins, and then travel through the naval port of Simon’s Town. Simon’s Town is situated on False Bay and is rich in history, character and atmosphere. Alternatively… We suggest you depart on an optional full day tour of the Cape Winelands. Your day excursion takes in the tranquillity and beauty of Paarl, Franschhoek and Stellenbosch in the Cape Winelands. Experience the rich historical and cultural heritage while sampling wines of merit at local well known wine estates. 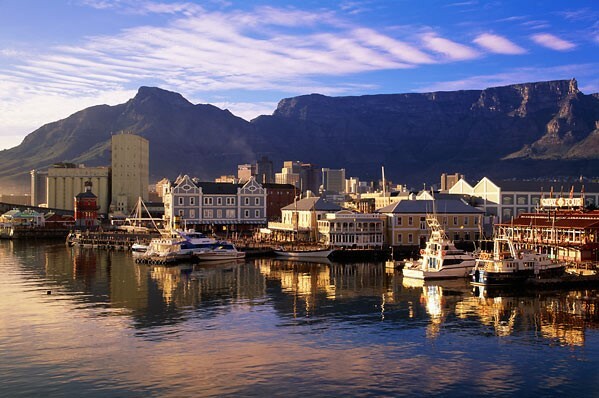 Take in the sights and sounds of the Cape Town, on a half day optional Cape Town City Tour. The ultimate ‘Mother City’ experience – designed to orientate you and give you insight into the magic of Cape Town. Today, depart for Cape Town International Airport for your onward flight to Mauritius (flight not included). 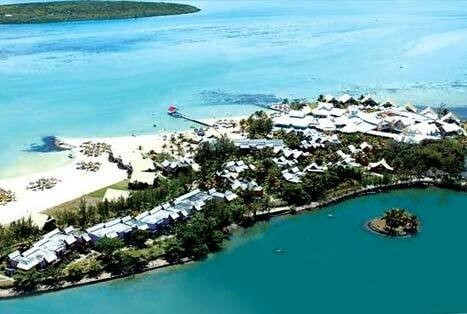 On arrival in beautiful Mauritius, transfer to the Preskil Beach Resort. On arrival, you will find the resorts slogan ‘Dive into a dream’ to be completely appropriate. The dream doesn’t stop at the incredible reefs in the area – that divers and explorers can explore at their leisure – the dream is the entire Preskil experience: the ocean –kissed peninsula on which the resort stands; its colonial style; the luxury suites and rooms, each equipped with airconditioning, TV, Wi-Fi and mini-bar. The dream is fragrant food, at Preskil’s choice of restaurants. Then of course there are the dreamy sea views, the numerous land and watersports on offer and the classic Mauritian service and hospitality. Today, transfer to the SSR Airport in Mauritius for your departure flight. BE OM TILBUD PÅ DIN FANTASTISKE SMAKEBIT AV AFRIKA. – which means Go well and come back again soon!